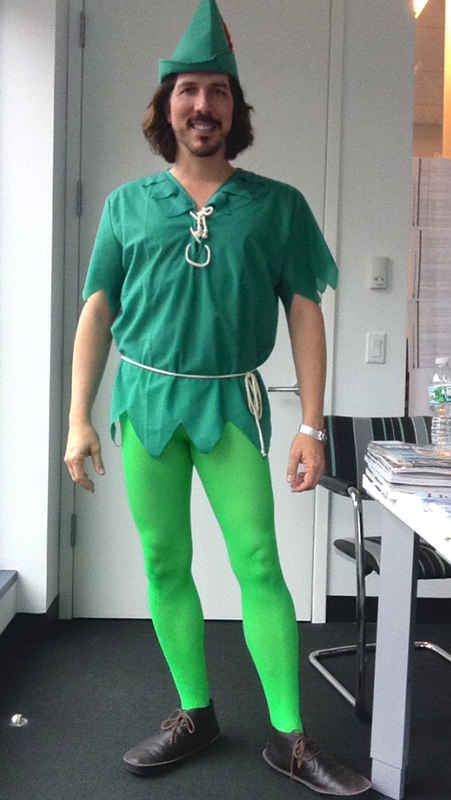 Today is Halloween and I dressed as Peter Pan for the office’s party. I love working in a place where we feel so free and comfortable we can celebrate Halloween and dress up as whatever we want. Peter Pan is the fictional character I identify the most, given his desire of never growing up. I felt like that most of my childhood and my adolescence; I simply knew that being an adult wouldn’t be as fun. I also think that Peter Pan’s green tights are the ultimate “skinny jean look”. So here it is! 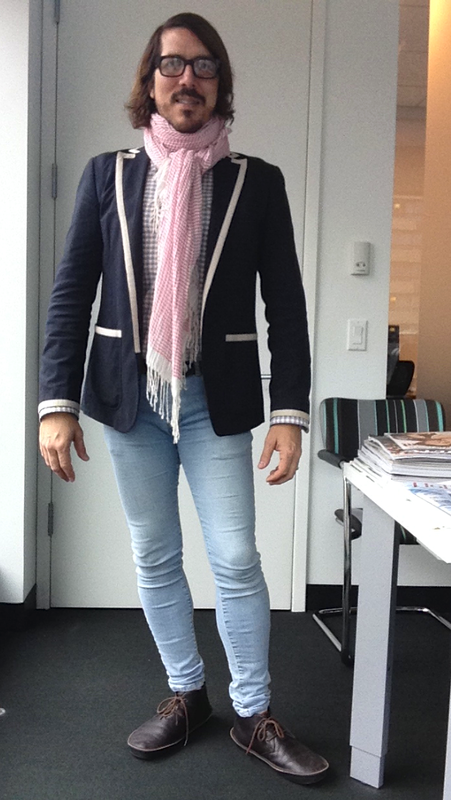 For my regular outfit of the day I wore skinny jeans by Topman, shirt by Ben Sherman, jacket by Benetton and shoes by Camper, which are the perfect shoes for my Peter Pan costume! 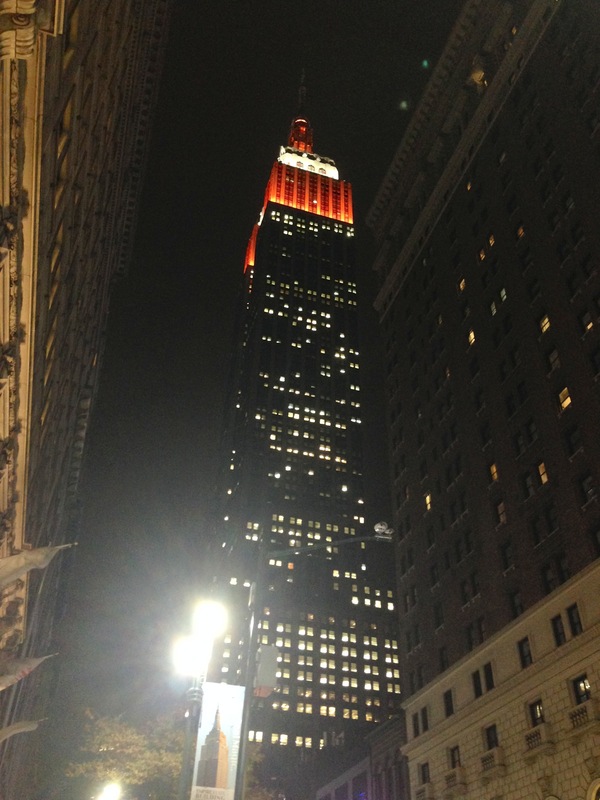 I am also including a picture of the Empire State Building lit in orange for today’s holiday. Me as (bearded) Peter Pan: The Empire State Building lit in orange!